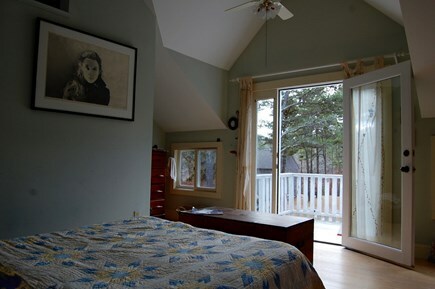 Set in an acre of pine and oak, this custom built cottage has a separate art studio and detached family room with a sleeping loft. 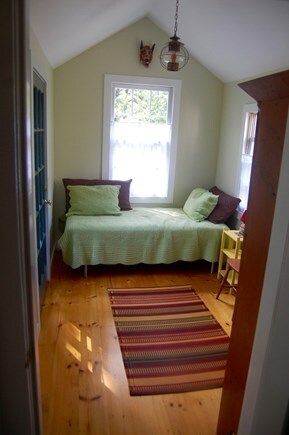 The main cottage has a top floor master bedroom with a private bathroom and shower and a deck overlooking the grounds. 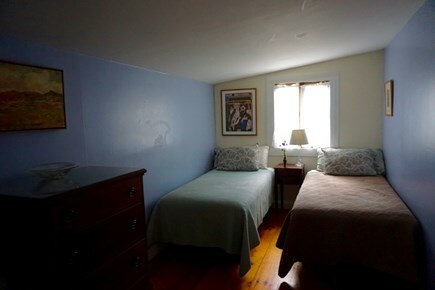 The second bedroom has a set of twin beds. 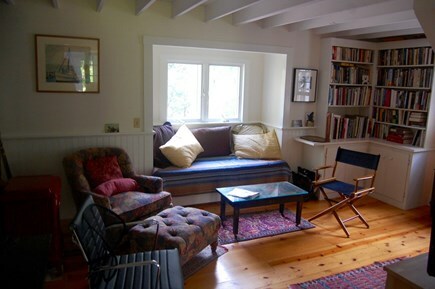 The cozy living room has a built-in sofa alcove and a gas fireplace. 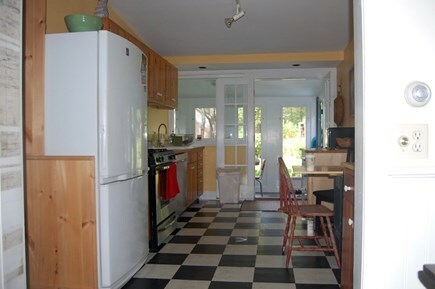 Bright kitchen with breakfast nook and gas stove. Front foyer and back porch with futon sofas. The main first floor bathroom has a vintage claw-foot bathtub and washer/dryer combo. 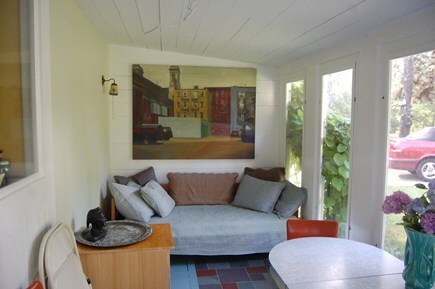 The 18' by 24' art studio is the perfect retreat to paint or work on a personal project. It has a mix of natural and track lighting and a shaded deck for working outside. 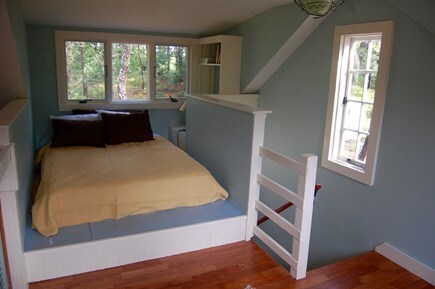 The detached family room has a large flat screen TV, and a queen bed in the upstairs loft. 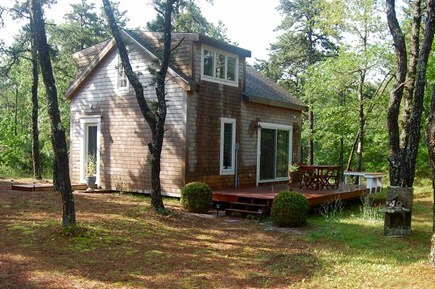 The house is beautifully situated atop a hill in the woods of Wellfleet. 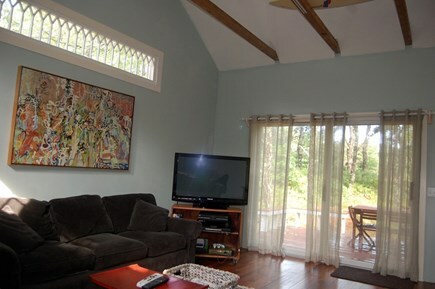 It is well appointed and in excellent condition, and beautifully decorated. The several daybeds were great for reading and relaxing, and there is an incredible library of art books to explore. Susan was a thoughtful host and we had a very enjoyable stay. We would happily return. Fabulous hosts! 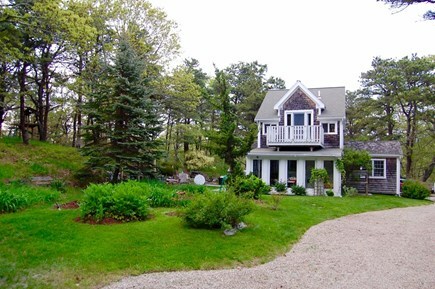 Quiet and peaceful garden setting; close to Gull Pond (great fresh water swimming), Newcomb Hollow and Beachcomber outer beaches. 3 minutes drive to Wellfleet town and Mac's seafood shack for the freshest seafood in a casual setting on the pier. Highly recommended!